It looks incongruous. In the pretty village of Plumbon high in the hills above Surakarta in Central Java, an old flat-roof factory sprawling among the marigolds and lavenders. Industries often seek to soften their harsh presence with a tree or two to mask the smokestacks, maybe a lawn out front to lay the dust. But this is different; the plants are here to feed the plant. The story starts in the early 1960s, a tense time in Indonesia with growing concern about President Sukarno’s closeness to Communism. Although most deals were with Russia, relations with a small Soviet satellite had already begun to bloom. Literally. Bulgaria is now a democratic republic of 7 million with a market economy and a big US airbase, but half a century ago it was part of the Eastern Bloc. Politics aside, the Slavs had skills that Sukarno thought could benefit his nation, for Bulgaria is the world’s largest producer of oils called essential. It’s a confusing word. It doesn’t mean crucial or necessary, but an oil which carries the “essence” of a plant, the volatile liquid distilled from flowers and leaves. If your bathroom soap smells sweet or family members use perfume, chances are the scents have come from the Balkans. Why not Indonesia? The President did a deal and Bulgarian engineers and scientists soon built a factory, installed equipment and set about getting locals to plant the required blooms, mainly roses and lemon grass. The produce would be exported to repay the loan, the hills would blossom and so would jobs. The dream withered with the 1965 anti-Communist coup d’état in Jakarta. The Bulgarians fled, the factory abandoned. During the following decades it was sold and bought several times. One owner tried making chopsticks, another getting swifts to take up residence so nests could be harvested for Chinese medicine and soups. Attempts were made at producing perfumes. All failed. Without the skills of the East European technicians the venture was doomed. Eventually one frustrated buyer cut out all the specialized copper equipment and sold it as scrap. The chimneys were felled, imported furnace firebricks plundered. Weeds marched in and took over. Then came local engineer and entrepreneur Paulus Mintarga. “I was checking a nearby villa development when I noticed the factory buildings,” he said. “I found the design interesting and the history curious. I understood Sukarno’s vision and I wondered if it could be revived,” he says. He believed that we should seek balance in everything. “Business people concentrate on financial capital, but social capital is equally important. That’s why I’m pursuing this project,” Paulus says. Paulus’ family moved from Kalimantan to Surakarta, where his father taught at a Chinese high school. He was the ninth of ten children. 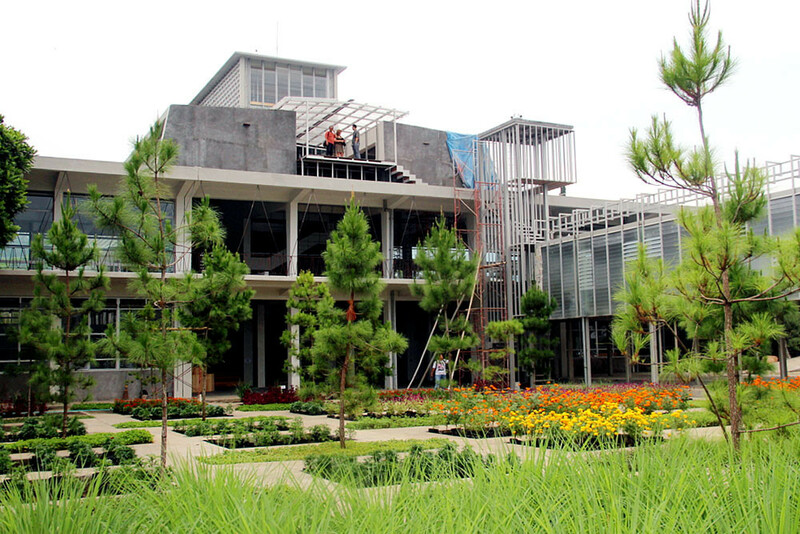 At university he trained as a structural engineer, then worked as a contractor in Jakarta. “I’ve always liked to question though never pushed to be a high achiever -- and that’s helped my development,” he said. 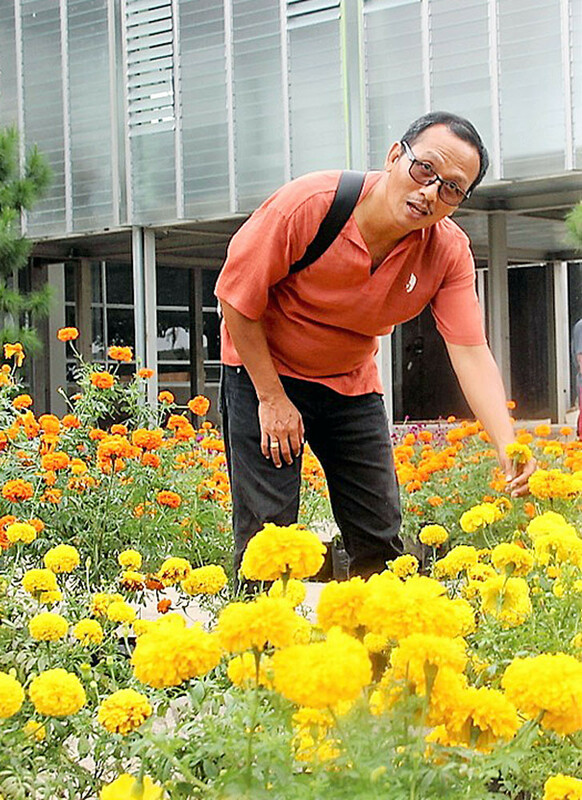 Paulus is best known as the self-taught architect behind Rumah Turi (house of the sesbania flowering pea). This was Surakarta’s first eco-boutique guesthouse using wastewater to feed thousands of plants and fish to create a calm environment. He got ideas for the building from a trip to Japan, where he marveled at the way locals used space. 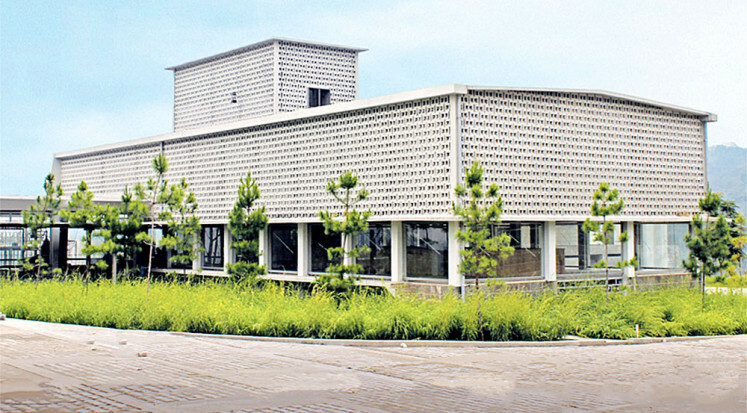 In Yogyakarta he designed the three-story Greenhost Hotel applying scrap metal and recycled wood (he prefers “upcycling”), mainly from shipping pallets. Vegetables are grown in a massive hydroponic system that runs past the rooms. Apart from the present project he’s also involved with a home and holiday development in the Selayar Islands of South Sulawesi, a famous dive zone close to a national park. There will eventually be a hotel on the 2.5-hectare site alongside the Plumbon museum now known as Rumah Atsiri (home of essential oils). When finished, the development will have cost more than Rp 68 trillion (US$5 million). The first stage is already open to tourists. “What’s a legacy?” Mintarga asked. “Should it be something monumental or sustainable? I’ve been blessed. My vision is to develop the potential of Indonesia and its people.